The blog has been busy, busy, busy! We’re just back from the American Society of Environmental History meeting in Toronto (more on that later, but so nice to see so many historians engaging with fishy topics). But the big news is that I’m going to be teaching a class on Oregon fisheries history fall quarter at Oregon State University. It’s going to be a two-credit class in the Honors College and I’ve been pulling together resources and writing an overview of the development of fishing off Oregon. 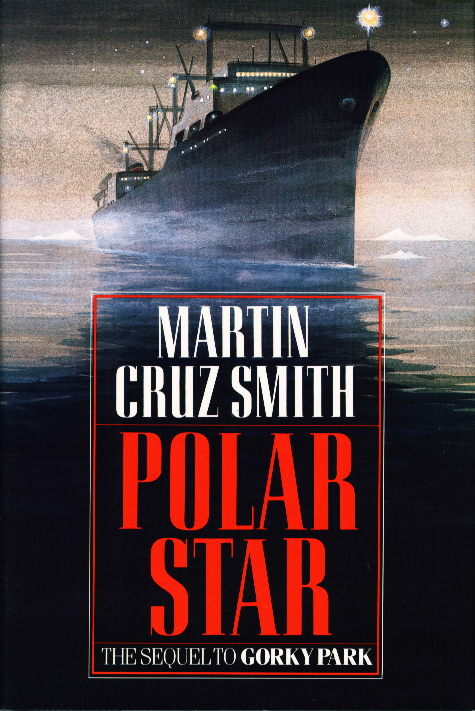 I always thought it if got to teach a fisheries history class, I’d start with a novel, by Martin Cruz Smith, Polar Star. Published in 1989, the mystery novel is the third of a series starring a disillusioned Moscow detective, Arkady Renko. The first book in the series, Gorky Park, was turned into a movie starring William Hurt. It’s a complicated, sprawling tale and it ends with Renko on the run, pursued by the KGB. He winds up in Siberia, cleaning fish on the “slime line” of a factory processing ship, the Polar Star. When the ship’s huge net trawls up the body of a women who worked in the ship’s kitchen, Renko is called in to investigate. Smith writes a fast-paced story, with Renko moving back and forth between the factory processing ship, the American catcher boats, and a day visit to Dutch Harbor, where another killing takes place. 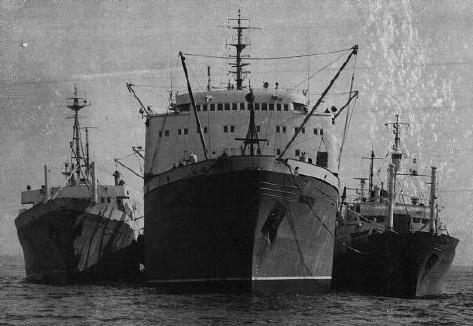 Polar Star is set in the North Pacific, but these giant factory processing ships operated off Oregon during the 1960s, decimating stocks of Pacific Ocean Perch, as Bob Hitz has blogged about. But I’ve just discovered a book that Martin Cruz Smith might have used for some of his basic information about the Polar Star. It’s called “A Crime Against the World,” by Vladil Lysenko, a soviet fishing captain who defected to Sweden. 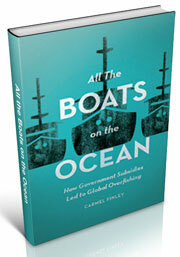 The book was originally published in Swedish, in 1980, and translated into English by Michael Glenny in 1983. Lysenko’s crime against the world is Soviet fishing practices, which he describes as wasteful, short-sighted, irresponsible—in short, crimes against humanity. 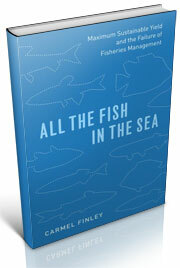 Lysenko tells a story of systematic waste, fishing on immature stocks, and the destruction of fish in the Barents Sea. The indifference about the fish is matched by indifference for the safety of the crew, with dangerous working conditions and an appalling lack of maintenance for vessels and their equipment. It will be good to have Lysenko’s book at a counterpoint to the novel by Martin Cruz Smith. A major theme in Smith’s book about the Soviet Union is how dysfunctional the system really was and the alienation of his characters, such as Renko. 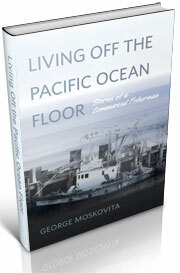 Polar Star doesn’t have too much to say about the fish that the Soviet fleet are catching. But Smith’s powerful indictment of the Soviet system makes Lysenko’s memoir all the more believable. This entry was posted in Carmel Finley, Environmental History, History of Science, History of Technology, Maritime History, Ocean fishing, Pacific Fishing History Project, Sebastes rockfish, Soviet environmental history, Soviet fishing, World History and tagged Martin Cruz Smith, Oregon State University, Pacific Ocean Perch, Polar Star. Bookmark the permalink.